Press Release: March 27, 2018 by Sanman Promotions – The red carpet will be rolled out when the newly crowned WBA Bantamweight interim world champion Reymart Gaballo returns home on March 30 in General Santos City. A grand homecoming awaits the hard-hitting Gaballo, who wrested the championship belt via a unanimous decision win over American Stephon Young at the Seminole Hard Rock Hotel and Casino in Hollywood, Florida last March 23rd. "This is one of the biggest victories for our team and I am very happy for Reymart. We will have a big welcome party for him when he arrives in GenSan," said Sanman Promotions CEO Jim Claude Mananquil. Mananquil and his older brother John Ray, the COO of the Sanman Promotions, was at ringside when Gaballo snatched the stirring victory with scores of 117-110, 117-110 and 118-109. "I am very proud of Reymart. I believed in him since day one. He was still 15 years old when he started boxing and now he is already a world champion," said John Ray. Not only did he pocket the title at the expense of a highly touted, erstwhile unbeaten opponent, Gaballo likewise preserved his unblemished record as he now has 19 wins with 16 of those victories coming via knockouts. 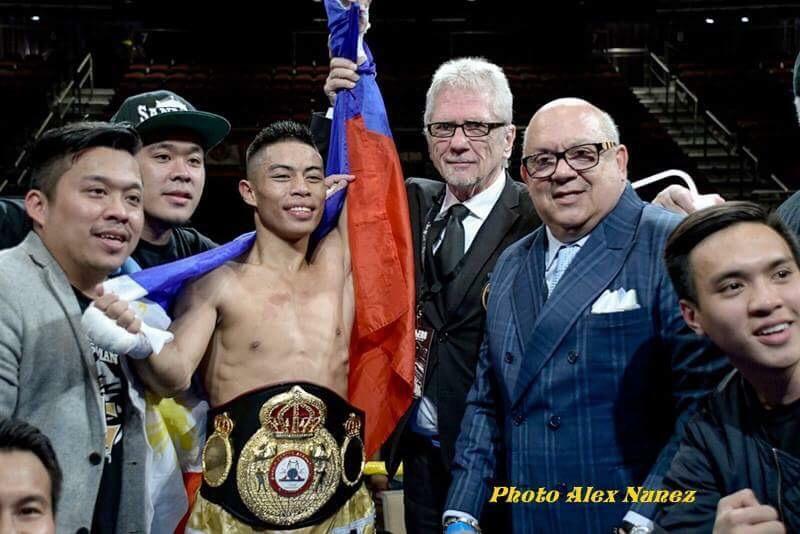 "I am very excited to come home with the WBA world title belt and share it with my family and Sanman team in GenSan," said Gaballo. Gaballo said it has been his dream to become a world champion but vowed there will be no slowing down as he guns for more success in the future. "I have dreamed for this for a long time and I am glad that all my hard work paid off. It really feels good but I will continue to work hard and improve," said Gaballo. Material Courtesy of: Sanman Promotions/ Photo Courtesy of Alex Nunez Used with permission. For more information about Sanman Promotions and to watch the Sanman Live Boxing series please visit Sanman Promotions’ official Facebook page: www.facebook.com/SanmanPromotions.